This edition of the Investment Newsletter contains 1st quarter 2017 market indicators, market statistics, sales transactions and an investor spotlight interview with Bill Hunt of the Elmhurst Group based in Pittsburgh, Pennsylvania. Following a strong performance in the first quarter of 2016, Pittsburgh’s office market ended the second quarter with similar strength, boasting a vacancy rate of just 7.7%. The average rental rate, over all classes, finished at a solid $20.40 per square foot. Overall, Pittsburgh’s Central Business District (CBD) posted a declining vacancy rate of 8.3%, down over 0.5% from this time last quarter. The average asking rental rate per square foot for all classes in the CBD remained steady from previous quarters reaching $23.66 per square foot. The average asking rental rate for Class “A” buildings in the CBD was just over $26.65 per square foot with Class ”B” reaching an average of $20.60 per square foot. We can expect overall rental rates in the CBD to increase due to the two large renovations underway to include: the 529,000 square foot Liberty Center and the 1,011,000 square foot One Oxford Centre. The buildings are currently quoting $33.00 and $34.00, respectively. Similarly, Pittsburgh’s suburban office market remained strong. The end of the second quarter showed a 7.4% vacancy rate compared to the first quarter’s vacancy rate of 7.9%. The average rental rate for Class “A” buildings in the suburban office markets reached $23.43 per square foot with Class “B” attaining rates of $19.36 per square foot. Both classes demonstrated an increase from the previous quarter. Suburban submarkets, such as the Parkway West, have retained large amounts of Class “A” inventory providing sizeable users with options in the market. Colliers International | Pittsburgh and their families took to the (Arsenal) lanes this weekend for Junior Achievement of Western Pennsylvania’s (JAWPA) first Bowl-A-Thon of the 2016 season. Our two teams raised over $1,000 for financial literacy and education in Western Pennsylvania. According to their website, Junior Achievement is the world’s largest organization dedicated to providing young people with the knowledge and skills they need to reach economic success, plan for the future and make smart academic and economic choices. JAWPA programs are delivered by corporate and community volunteers and provides relevant, hands-on experiences to over 72,000 students from kindergarten through high school. The next JAWPA Bowl-A-Thon will take place on Wednesday, May 25 from 5:30-9:00 PM at Arsenal Lanes in Lawrenceville. If your company would like to participate, please call Elizabeth Saraceno, Events & Marketing Sales Manager at (412) 208-4747, ext. 124 or e-mail her at esaraceno@jawesternpa.org. Click here to learn more about JAWPA. 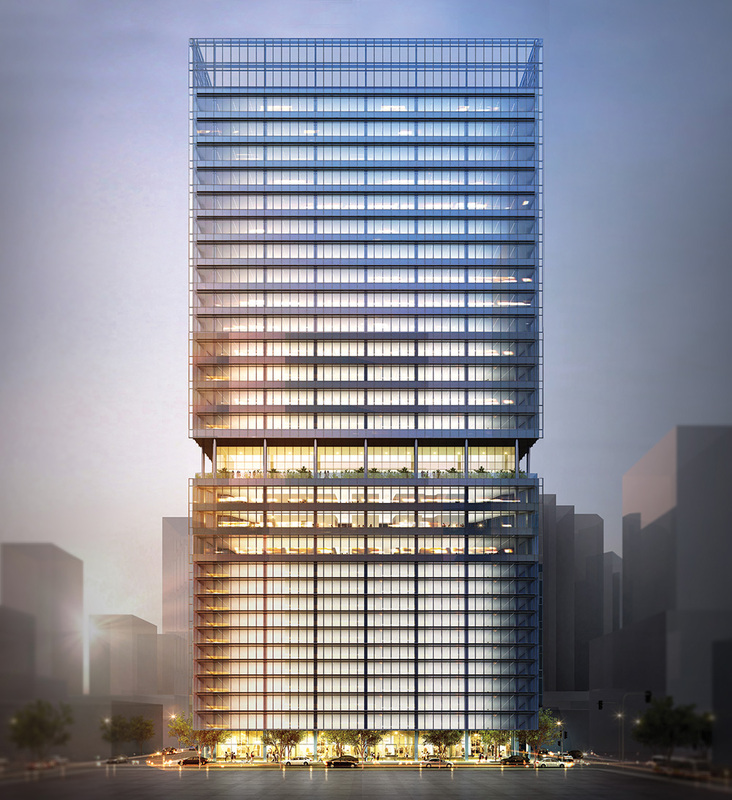 Oxford Development Company today announced a partnership with Colliers International to expand the marketing of 350 Fifth Avenue. Colliers International will market the new 29-story high-rise to potential tenants in the technology, finance, and government sectors in national markets such as Northern California, Austin, Boston, New York, and Washington D.C., utilizing their global platform.